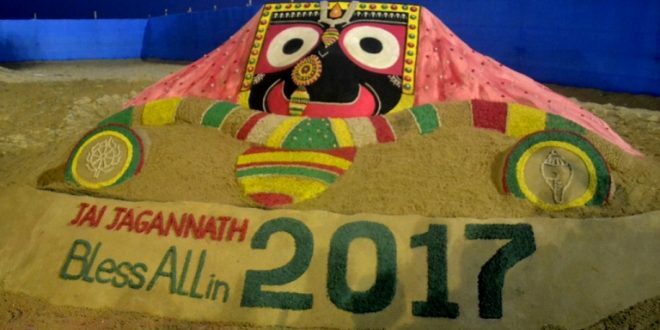 Puri: On the eve of New year, renowned sand artist Sudarsan Pattnaik has created a sand sculpture of Lord Jagannath welcoming 2017 at Puri beach of Odisha on Saturday. 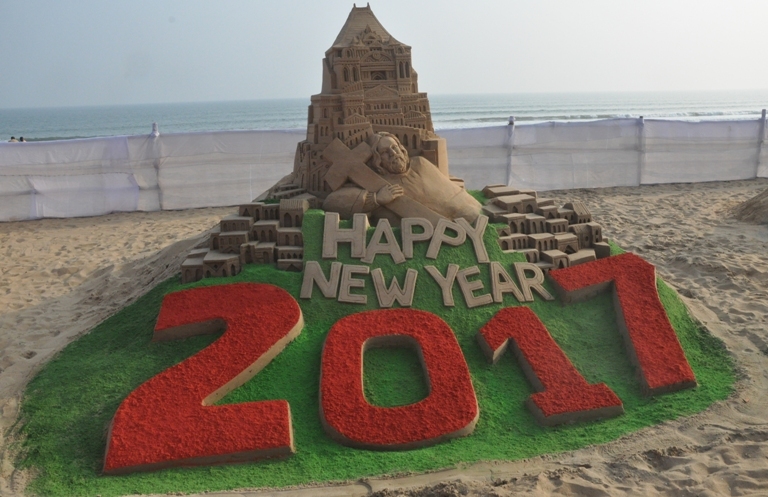 Sand artist Manas Kumar Sahoo has also created a sand sculpture of Lord Jesus Christ at the sea beach of Puri. In the sand sculpture of Lord Jesus Christ, he tried to spread peace in the world. 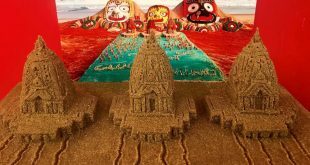 Sahoo used 20 tons of sand to create this 15ft height sculpture. 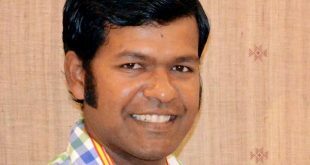 Sand Artist Manas Kumar Sahoo is the finalist of the popular reality show India’s got talent khoj II. 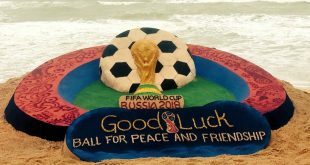 He has participated in near about 12 International sand sculpture championships and festivals around the world and many prizes for the country.